Next up in our mini course on cooking chicken: Grilled Bone-in Chicken Thighs! Whenever cooking meat or poultry with the bone on, the cooking time takes a little longer. The bone can be in the center or perimeter and location also affects cooking time. Center bones take longer to reach and the meat near the bone is the last to cook because the bone holds the cold longer. The best alternative on the grill for cooking anything with a bone is to start with direct heat and then move to the other side of the grill and finish on indirect heat. This keeps the outer meat moist and slowly lets the heat permeate throughout. Chicken thighs have more fat than the breast, so if you overcook a little, it’s a bit forgiving. Use marinades, rubs or just plain old salt and pepper with a little olive oil. Use a favorite marinade or rub at least 30 minutes, preferably a few hours before cooking. Fire up the grill and get started on your grilled bone-in chicken thighs tonight! Try some of these sides to go along with your chicken: macaroni salad, or vinegar coleslaw. 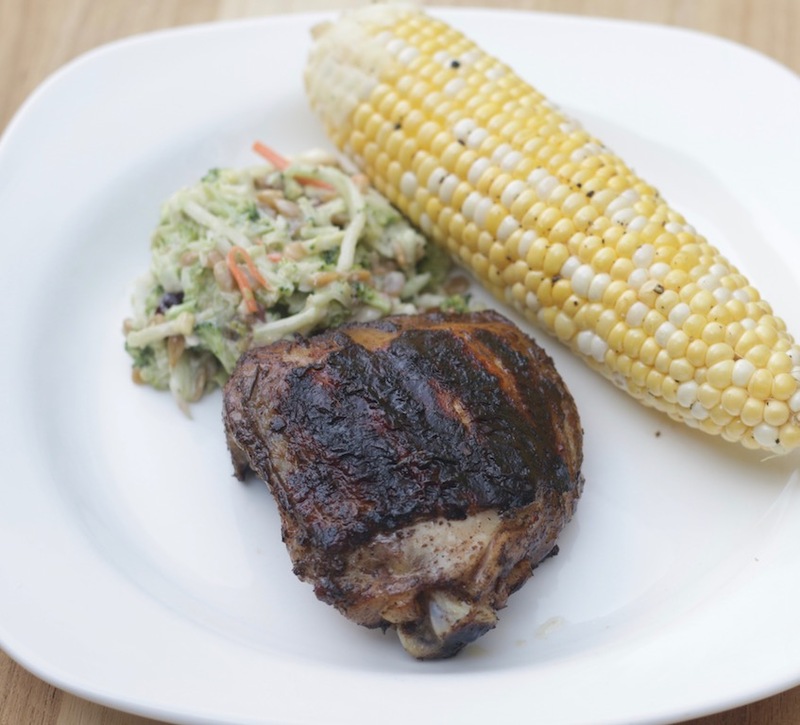 Here’s our quick and easy recipe for grilled corn! Watch the Grilled Bone-in Chicken Thighs video here.